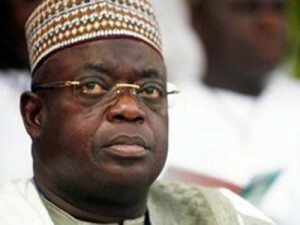 The Niger State Government has asked former Governor Babangida Aliyu to refund N2.9 billion. A statement by Dr Ibrahim Dooba, Chief Press Secretary to the State Governor, indicated that the money was taken as loan on the eve of Aliyu’s departure. It stated that although the new administration of Governor Abubakar Bello would not witch-hunt any past leader, “but the misappropriated money belongs to the people. “They took this loan on the eve of their departure. And as was customary with that administration, they did nothing with the money. “You can’t collect a loan on behalf of the people and share it among yourselves. That’s literally what they did. They simply raised a list and allocated money to those on the list. “The office of the SSG for example, was given N600 million. The records did not say what he would do with the money. Well, we want our money back. The money belongs to the people,” it said. The statement added that the present administration had prioritised the needs of the people, stressing that such looted but recovered funds would be expended on projects. “Our people need food, shelter, security, roads, water and so forth. For example, the governor wants to start with the provision of potable water and in the coming weeks, we’ll provide water at predictable intervals to Nigerlites. “On the problem of electricity, we have started an arrangement to rent a power plant from overseas to provide regular electricity before a permanent solution is found. “Also, Minna-Kataeregi road, Kontagora-Tegina, Minna-Suleja, Bakeko-Katcha, Kaffin-koro, Kuta-Sabon Gari and Maitumbi-Maikunkele roads among others, are receiving urgent attention,” it said.